With both teams facing injury worries ahead of their Matchday 23 meeting, FC Bayern München's trip to VfL Wolfsburg promises to live up to its billing as one of the most exciting games of the season. bundesliga.com will have live text coverage of Bayern's trip to Wolfsburg on Saturday. Pep Guardiola's side will travel to Lower Saxony with limited options in defence. Injuries to Jerome Boateng, Javi Martinez and Holger Badstuber have forced the Catalan into some emergency reshuffling of late, with makeshift centre-back Joshua Kimmich set to make another appearance in Bayern's back line at the Volkswagen Arena. The league leaders’ defensive vulnerability might set alarm bells ringing amongst more pessimistic Bayern supporters. 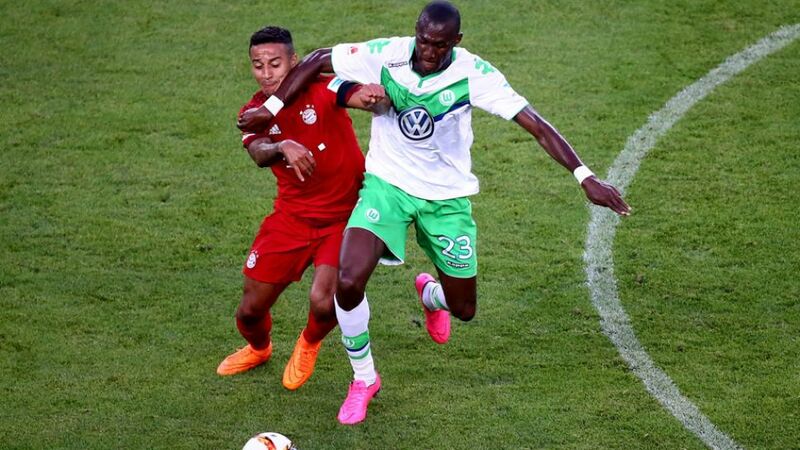 It is, after all, only a year since Wolfsburg thrashed the Bavarians 4-1 to briefly open up last season's title race. Much has happened since then, however. Bayern knocked the Wolves out of the DFB Cup before Christmas, but far more notable was the game between the two sides at the Allianz Arena on Matchday 6. After Daniel Caligiuri had given Dieter Hecking’s team a narrow half-time lead, Robert Lewandowski arrived off the bench to provide one of the greatest individual performances the Bundesliga has ever seen: Five goals in less than nine minutes from the 27-year-old turned the game on its head, and saw Lewandowski break a whole host of records in one fell swoop.